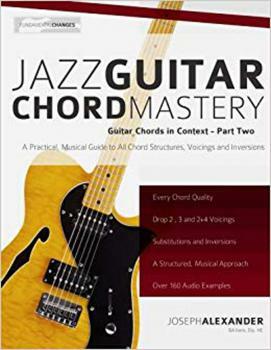 "The second part of the Guitar Chords in Context series contains every single common chord structure used in jazz Guitar. 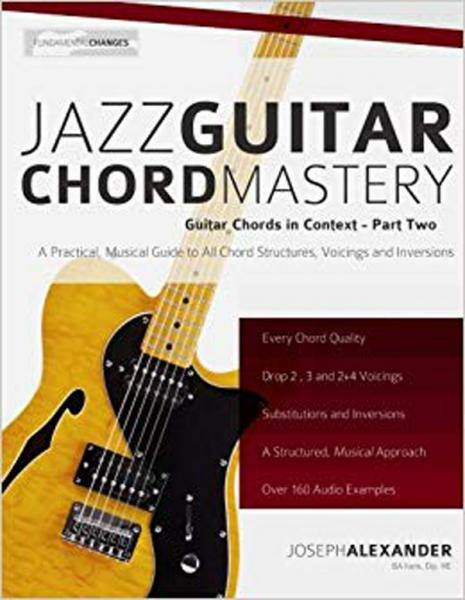 Covering drop 2, drop 3 and drop 2+4 chords voicings for Maj7, 7, m7, and m7b5 chord qualities plus their inversions and extensions, Jazz Guitar Chord Mastery is the most comprehensive musical study of jazz Guitar chords available. With great emphasis on musical application, this is not just a simple chord dictionary; it is a complete system to help you understand, hear and feel how jazz chords function and to master their use in a musical context."